We also service all leather furniture - re stuffing - re upholstery - cleaning and repairs. 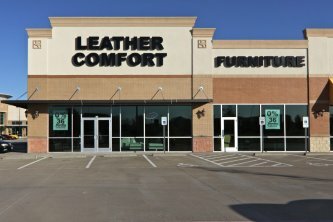 Leather Comfort has developed a well-earned reputation for offering a wide variety of quality leather at affordable prices. Our philosophy of delivering the latest styles affordably inspires everything we do. Together with our customer-first service, it's easy to see why Leather Comfort has something for everyone - and always at the most affordable rate. Visit any our convenient location today and let our leather specialists show you our incredible collection.